Inspired by her uncle, Lisa Samson has communed with trees since her childhood. Tragically, a disease from mainland Europe now poses a very serious threat to the ash tree's survival. Epitaph for the Ash explores how barren our landscape could become without the ash's familiar branches protruding from limestone scars and chalky cliff faces. The trees' grave prognosis takes on a personal resonance when, in the course of writing this book, Lisa is diagnosed with a brain tumour. While she receives treatment, and learns to walk and talk again, Lisa finds solace once more in the natural world. She continues to research her beloved forests, which once sheltered a wealth of flora and fauna, seeking out the possibilities that modern science might provide for their survival. 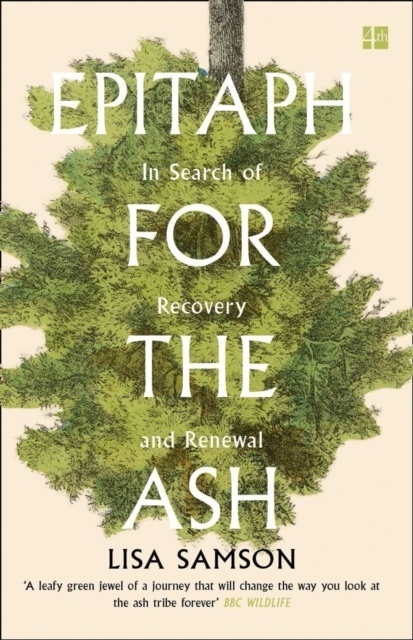 Taking us from the lowlands of Norfolk to northernmost reaches of the British Isles, Lisa's book is a celebration of the deep cultural and historical significance of the ash. As Lisa contemplates her own mortality, and the trees' likely fate emerges, Epitaph for the Ash offers up a rallying cry to treasure these remarkable woodlands while we still can, before it is too late.